With the support from her loving parents, Hazel Grace Lancaster, a sixteen-year-old, has fought cancer for over three years. She was diagnosed with thyroid cancer at thirteen years old, and her family was told it was incurable. Several treatments were performed to help her and slow the growth of tumors, which were only temporarily assisting because a year later, her lungs began to fill up with water. The moment Hazel was suffocating in the Intensive Care Unit with pneumonia, her parents lost hope, but her doctor finally managed to drain some of the fluid from her lungs. Medicine that was given to her for the pneumonia when she first arrived started to work inside of her body, however, she was handicapped with oxygen tanks to help her breathe normally ever since then. 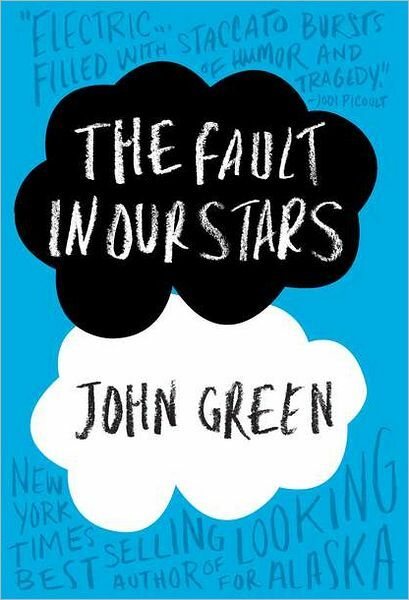 Hazel dreads the cancer support group her mother requires her to attend regularly, but one day, she encounters Augustus Waters, an amputee and former basketball player, who puts her cancer-filled life into a whole new perspective. Augustus played basketball until he was diagnosed with osteosarcoma, and his right leg had to be amputated, but he is now cancer-free. Augustus is instantly attracted to Hazel the day he saw her at support group and eventually falls deeply in love with her, but Hazel is hesitant because she is terrified of hurting him if she dies. Augustus makes it clear that the fear of that happening cannot and will not keep him away from her, so they learn to make the best of the time they have left with each other. This book is popular among readers for having a tragic storyline, and I was curious about what made it so sad, so I bravely decided to read it. I knew I would not like the outcome of the story before I opened the book, and when the author revealed what was going to happen, it was surprising because I was expecting it to be something else. It was a very heartbreaking book, so I definitely recommend you think twice about reading it if you do not like sad stories. At the same time, it was also a beautiful book that deals with many deep themes, and the fact that you must decide to love even if it bodes pain is my favorite one. This book’s vocabulary was difficult for me, so I think the book best suits people ages thirteen to sixteen. Despite its sad ending, I would rate this book a ten out of ten. 1. What are the names of the two main characters? 1a. Their names are Hazel Grace Lancaster and Augustus Waters. 2a. Their meeting place is a church shaped like a cross, and their room is located where the two boards would have met and the heart of Jesus would be. 3. Why does Hazel like the book, An Imperial Affliction? 3a. She likes the book because its author seems to understand her, what it’s like to be dying, and to survive. 4. Why does the author of An Imperial Affliction, Peter Van Houten, refuse to answer Hazel’s questions? 4a. He’s afraid if he tells her through an email or a phone call, the answers might be spread to other people, so he said he could only answer her questions in person. 5. Hazel compares herself to what when she realizes she will hurt everyone around her? 5a. She compares herself to a grenade that will blow up at some point and leave everyone she loves hurt. 6. When Hazel was in the hospital, why does her nurse assume Augustus is her boyfriend? 6a. Augustus has not left the hospital since Hazel arrived. 7. What do Augustus and Hazel repeatedly say about the world when things don’t go their way? 7a. They tell themselves the world is not a “wish-granting factory”. 8. What is Dr. Marcia’s argument regarding Hazel traveling? 8a. Dr. Marcia gives Hazel permission to travel because she believes Hazel should live her life. 9. What does Hazel fear most for Augustus? 9a. Hazel is afraid she will hurt him if she dies like his previous girlfriend. 10. Where does Peter Van Houten’s assistant take Hazel and Augustus? 10a. She takes them to the Anne Frank House. 11. Hazel made the story of meeting Peter Van Houten funny when she shared it with her mother because she believes what? 11a. She believes people have a choice about how to tell sad stories. 12. Why does Augustus go to the gas station? 12a. He wants to buy a pack of cigarettes. 13. Hazel’s father uses what to show Hazel that loving her is a privilege to him? 13a. He compares it with Hazel’s love for Augustus. 14. Peter Van Houten says Hazel reminds him of who? 14a. He says Hazel reminds him of Anna, the main character in his book. 15. What does Peter Van Houten say to Hazel about marriages that scares her? 15a. He told her half of marriages end in the year after a child’s death.